Ronald Brown held the chiplead in #TVWSOPCircuit Event 4 with 3 tables remaining, lost it on the money bubble when he doubled-up Dermot Lyons, then regained all those plus every remaining chip in the tournament to claim the $12,958 prize pool and a @WSOP Circuit Ring. Brown, from Spirit Lake, ID, held off Robert Zeidman heads-up to take the title and the ring. 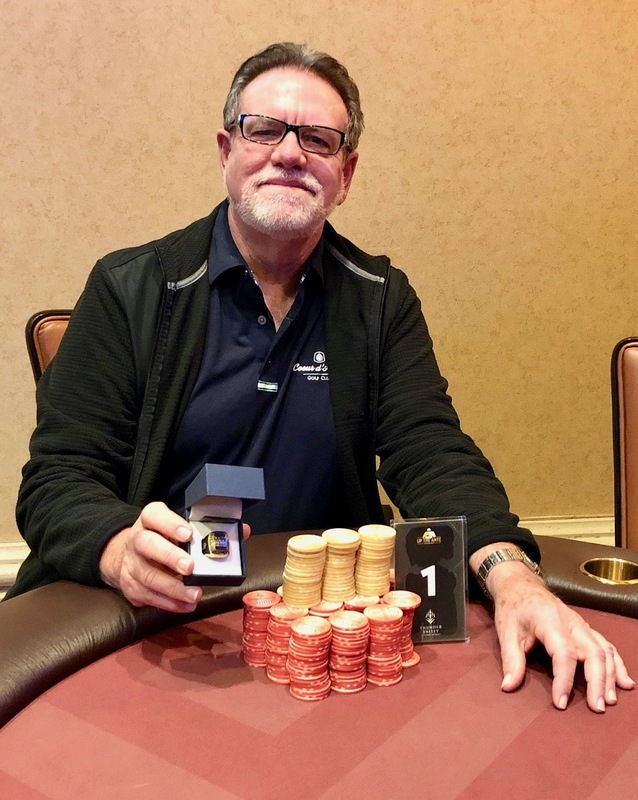 Zeidman moves in to 5th in the series-long Casino Champion race with his second cash through four WSOP Circuit Thunder Valley events. Kindah Sakkal, from Everett WA, placed 4th - also her second cash of the series to date - to take the top spot on the Casino Champion Leaderboard with 52.5 points. The Casino Champion points do not include last night's Event 4 - Omaha 8, those add in tomorrow. Here are all the results from Event 3 - $365 NHLE with a $25,000 Guarantee.